Cleaning is never fun, but it certainly doesn't have to be expensive. Most cleaning brands (even the eco-friendly ones) can be costly. Instead of listing a bunch of brands and products you can use to clean your home, I've listed some all-natural cleaning solutions (that actually work), and ways you can use them. The best part is, you might already have some of these in your house! After all, I choose to highlight lemons, essential oils, and sea salt. There are many other natural cleaning alternatives you can use, but these were the ones I love the best. Let me know which are your favorites in the comment section below! Countertops: Lemons are great for cleaning countertops (I know, I've done it several times). Just cut a lemon in half and dip one half into baking soda. Then, tackle away. When you're finished giving the counter a good, lemony rub down, wipe clean using a wet sponge and then dry using a rag. I suggest you don't use this method on delicate stone, like stainless steel or marble, as it may lead to discoloration. Dishes: Believe it or not, adding a teaspoon of lemon juice to your dishwashing detergent will increase grease-cutting power. So add away! Cutting boards: Tough food stains on your cutting board? 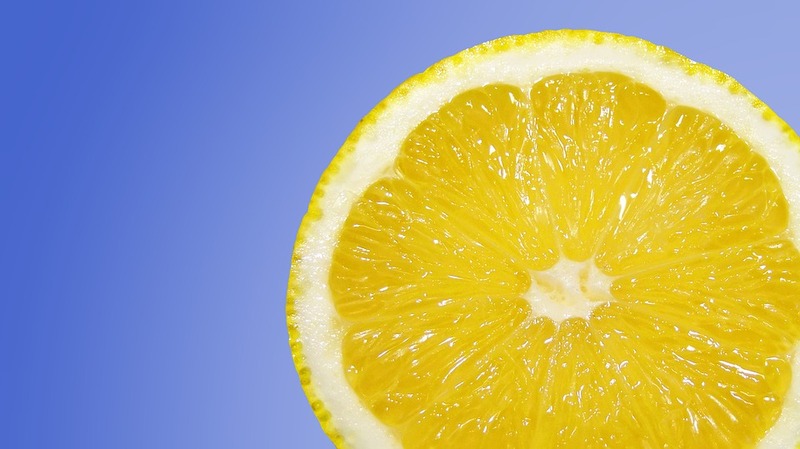 Just slice a lemon in half, squeeze onto the soiled surface, rub, and let it sit for 20 minutes before rinsing. This is good for wooden and plastic cutting boards (and will make it smell great afterwards too). Garbage disposal: Just cut a lemon in half, then run both pieces through the garbage disposal. The lemon will make it smell great! Faucets: No one likes lime scale: Combat it by rubbing lemon juice onto the taps and letting it sit overnight. Then, wipe it with a damp cloth in the morning. Hands: Got a bad smell on your fingers and want it gone? Raw fish or garlic can cause this. Simply rub your hands with lemon juice and the odor will be neutralized! Grout: Grout stains stink. But they don't have to stick around forever: Add lemon juice to 1 or 2 teaspoons cream of tartar to make a paste. Believe it or not cream of tartar is an acidic salt that acts as a natural bleaching agent. Then, just apply with a toothbrush and rinse. Your grout stain is history! Plastic food-storage containers: I don't advise people to use plastic food-storage containers (they pollute the environment and can easily be replaced with something more eco-friendly), but if you do have some, they easily stain. To get the stains out on dishwasher safe items, rub lemon juice on the spot, let it dry in a sunny area, then wash as usual. Laundry: Lemon is great for brightening whites. Just add 1/2 cup lemon juice to your rinse cycle for a normal sized load. Toilets: Okay, no one likes cleaning toilets. But it has to be done. Just add 2 teaspoons tea-tree oil and 2 cups of water to a spray bottle. Shake it, then spritz along the toilet's rim. Let it sit for 30 minutes, then scrub. Also, here's a little hack to make your toilet paper smell amazing: Place a few drops of your favorite oil on the inside of the toilet paper tube. Every time you use it, the scent will be released. Scuffed floors: Scuffed floors? No thanks. 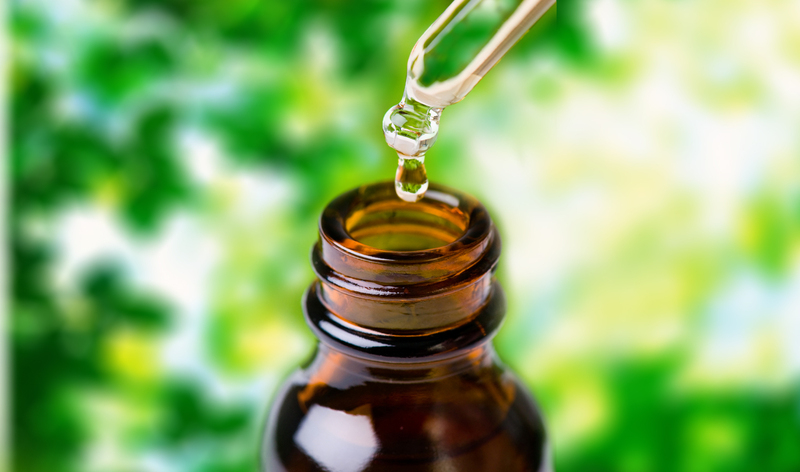 Get rid of them by applying two to four drops of tea-tree oil to the spots. Seems simple, but it really does work. Just wipe excess oil with a cloth and rub in distilled white vinegar. Combs and brushes: It's important to clean your combs and brushes too! To clean, fill a container with 1½ cups water, ½ cup distilled white vinegar, and 20 drops tea-tree, lavender, or eucalyptus oil. Up to you which to choose ( I prefer lavender). Then, soak all your combs and brushes for 20 minutes in this mixture. Rinse and let them air-dry. They'll be good as new! Gum-encrusted items: Gum is super sticky and hard to get rid of (once it latches onto something). Orange oil is great at removing gum though, from various materials too! And the best part is, it won't stain fabrics. Just apply with a cotton ball and you're gum free. Windows: Clean your windows by mixing 2 ounces water and 10 drops lavender (or lemongrass) oil. This will wipe off grime and repel flies (score!). Shower doors: Make them look spiffy by wiping them down with a few drops of lemon oil twice a month. It'll protect them from icky grime buildup. Glassware: Salt won't scratch up your glassware (can't say the same for a scouring pad). To get out stubborn stains, add some salt for extra abrasion and scrub while washing anything. Greasy pots and pans: No one likes grease. Sprinkle salt on cookware to absorb unwanted, excessive grease. Dump out the salt before washing as usual. I don't recommend using this for nonstick cookware though. Artificial flowers: If you have any of these in your house, you know how quickly they gather dust. Believe it or not, salt can help. Just place the fake blooms inside a paper bag and pour in salt. Close the bag and shake vigorously. The salt will dislodge any dirt or dust on the blooms! Stained teacups and coffee mugs: Get rid of that stain on your favorite mug once and for all! Just sprinkle salt on the outside of a lemon peel, then rub the stained area until it's spotless. Spills in the oven: Got a nasty spill from something you left in the oven? Pour salt on the spill to soak it up. Wipe with a damp sponge (when the oven cools down). 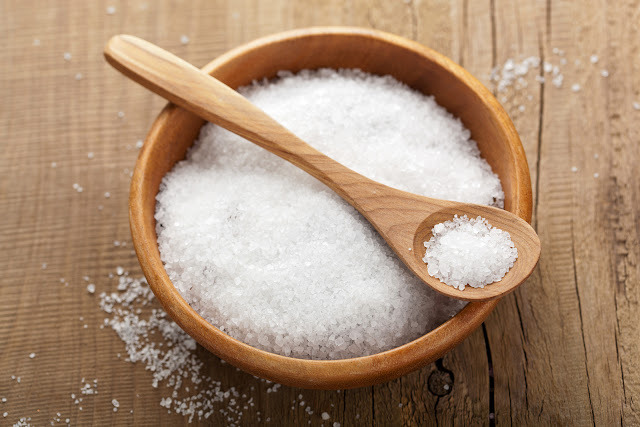 Wooden counters and tables: Cover any greasy areas with salt to absorb as much as possible. In an hour, just brush it away. Your wooden counters and tables will look (and feel) amazing!